San Rafael has had a small private airport for many years located in the Terra Linda area by the Contempo Marin Mobile Home Park. But in the early days there was a second airport located in the Canal area of San Rafael that was there from about the 1930's to the early 1960's. The San Rafael Airport was home to several planes and there were a few hangars on the site as well. The runway ran east and west and was located on what is now Larkspur Street. From time to time pilots would arrive back home during the hours of darkness, which created a problem as there were no runway lights, but there was a plan for such instances. When a pilot arrived at night, he would fly at a very low altitude over downtown San Rafael and buzz City Hall which was then located at Fifth and A Street. Once the pilot succeeded in getting the attention of a Police Officer (the police department was located in the basement) the Officer would immediately jump into his patrol car and drive to the airport and use his car headlights to light up the threshold of the runway. With a lighted runway, the pilot was able to make a safe landing. Over the years, the San Rafael Police Department was most likely responsible for the safe landing of many aircraft at this airport. 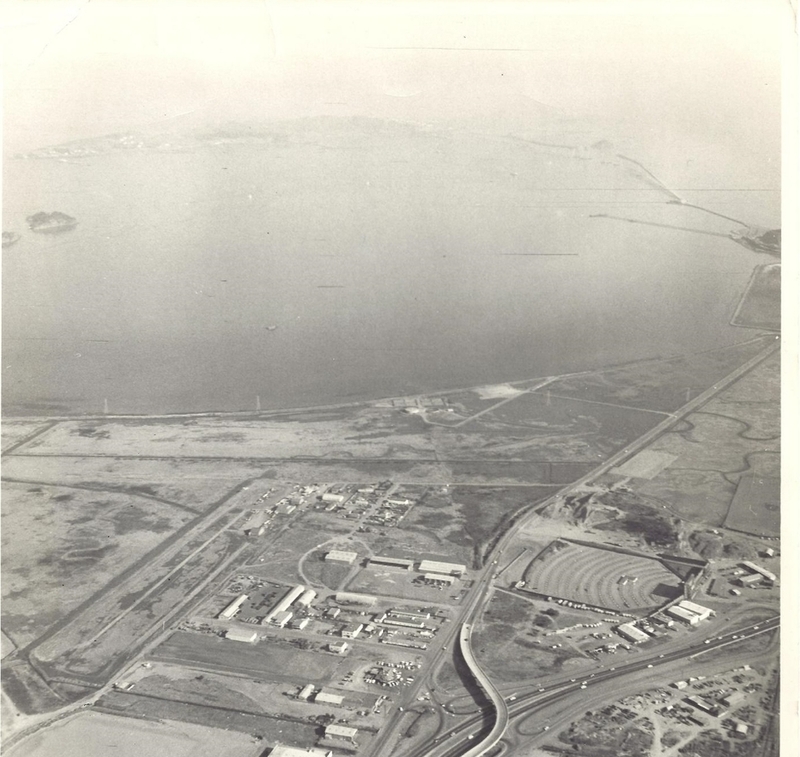 The San Rafael Airport was closed in the early 1960's when the Canal area started to be developed. Attached are two photos. One is a 1957 aerial photo of the San Rafael Airport. Located in the lower right corner of the photo is the Marin Motor Movies, which stood on the site now known as the Marin Square Shopping Center. Below the Motor Movies is Highway 580 as it crosses over Highway 101, which is still there today and in the lower left corner is the San Rafael Airport showing the runway running along what is now Larkspur Street. The second photo is of a fire that took place at the airport on July 8, 1957 that burned eight airplanes, causing $150,000 in damage. San Rafael Hill can be seen at the far right side of the photo. Posted on January 7, 2015 by Evan Barbier.